Two-tone watches are making a comeback, although, they’ve had a long history, especially with Rolex. The famous watchmaker has been incorporating steel and gold since the 1930’s, but something about this combination has recently come back in vogue after a stint of popularity in the 1980’s. We’ve always been a fan of the two tone-look, so we’re excited to see the comeback — especially in ladies watches. The mix of metals adds not only an aesthetic dimension, but a bit of dressiness to the ever-cool stainless steel look. For women who like to mix metals in their other jewelry as well, a two-toned timepiece can be the perfect accessory. For the woman who wants the best of both worlds, a two-tone timepiece is probably the answer. A ladies Rolex with a diamond dial. When you think of a two-toned watch, your mind probably automatically leads you to this striking example. This Rolex Two-Tone Ladies Datejust ref 79173 is outfitted with a gold embezzled casing and a stunning stripe of gold down the steel Jubilee bracelet. If that wasn’t enough, the silver dial is sprinkled with diamond hour markers. The combination feels fresh yet polished and will sit pretty on your wrist for just about any occasion. 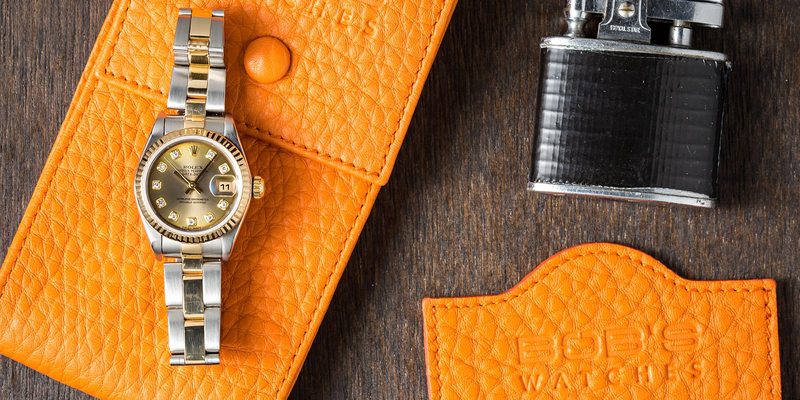 Don’t forget the Rolex Everose gold for the ladies. It’s another DateJust, but this timepiece certainly feels like an entirely new design. 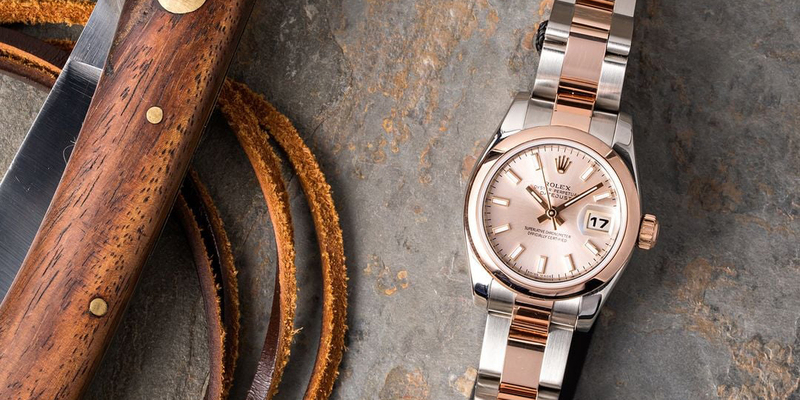 We adore this piece for its signature Rolex everose gold that encompasses the dial and flows outwards down the steel Oyster bracelet. The pink gold pops against the stainless steel and adds an unexpected femininity to the simplicity of this design. Topped off with a matching rose gold face, it’s hard not to look at this timepiece with rose-colored glasses. The Yacht-Master typically brings up a masculine vibe, but the ladies collection is just as fantastic. Two-toned never looked so sophisticated and worldly. This stunning piece of jewelry isn’t just built to take on the open sea, it’s built to impress anyone who catches a glimpse. 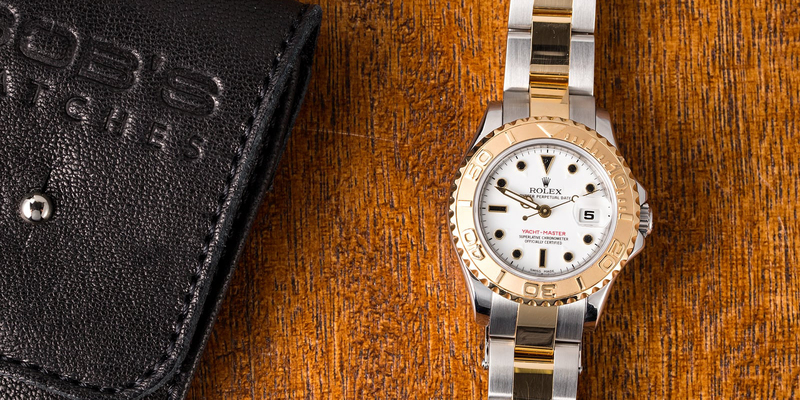 Rolex has perfectly combined 18k yellow gold with a resilient 904L stainless steel to create this elegant ladies Yacht-Master 169623 with an oyster bracelet. The sturdy design could easily sit heavy on a woman’s wrist, but we love that the two-tone breaks it up — the golden color adding a touch of lightness. The blue dial really makes the watch pop out. Similar to the first DateJust we featured above, this lady DateJust 79173 is outfitted with a stunning stripe of 18k yellow gold around the case and down the Jubilee bracelet. But, what makes this watch special is that blue dial. 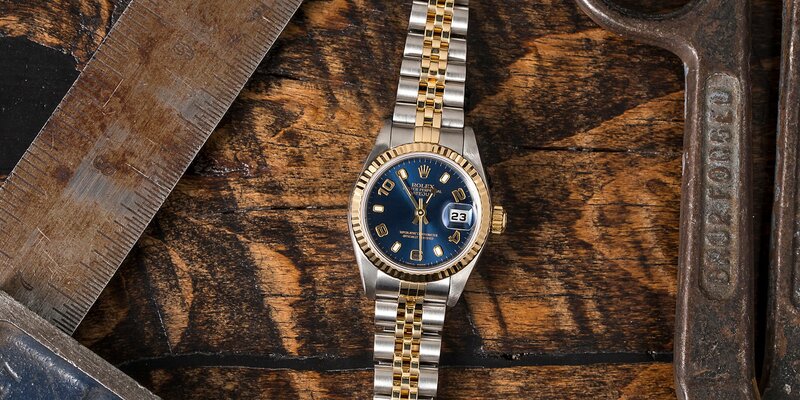 The blue contrasts beautifully against the yellow gold, enhancing the intensity of the color and making it stand out against the stainless steel that much more. This watch looks rich and elegant, and we’re almost entranced by the combination. Another watch in the line-up that women would love to see in their watch collection. Interested to see what other two-tone watches we have? Head over to our sales page and browse our options.